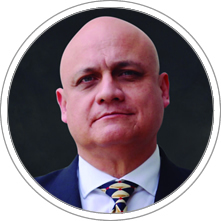 Professor Medina holds a PhD in Finance, School of Engineering, Pontificia Universidad Catolica de Chile. Industrial Engineer, Universidad de Lima. He has been Mayor of Investment Supervision, Mayor of Investment Valuation and Retirement Funds Committee Member, Price Supervision Committee Member at the Superintendence of Banking, Insurance and Retirement Funds Administration (AFP). He was Founder and Chief Investment BANSUR Mutual Fund Management Company,Deputy Development Manager of Financial Products in BANCOSUR, Member of FONDEF Project Evaluation Investment in companies CODELCO and ENAP Chile, Researcher in Finance at the Catholic University of Chile, Professor at the Graduate School of Finance at the University of the Pacific , consultant companies and financial sector institutions such as Banco Santander Central Hispano, among others. He is currently Professor of Academic Area of Finance, Accounting and Economics at CENTRUM Catolica Graduate Business School.